I actually purchased this product by accident! I’m a fan of the range and purchase there other products…I thought this was the shampoo that I generally get. It was a happy mistake because I enjoy using it! I’ve only ever purchased the one bottle because it lasts so long!! It’s similar to the hair masque in there range but less thick. Leaves my hair smooth, silky and knot free…but a little goes a long way. 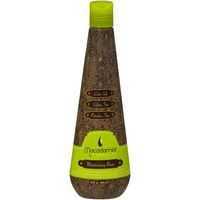 How would you rate Macadamia Treatment Moisturizing Rinse?